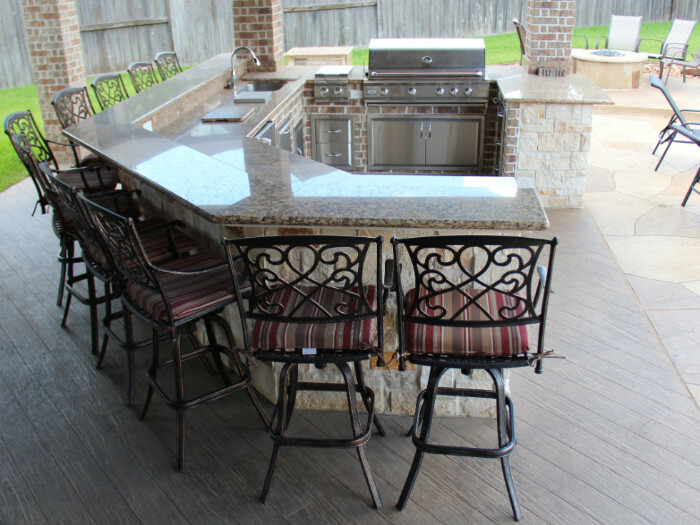 KITCHENS - Custom Outdoors Inc. 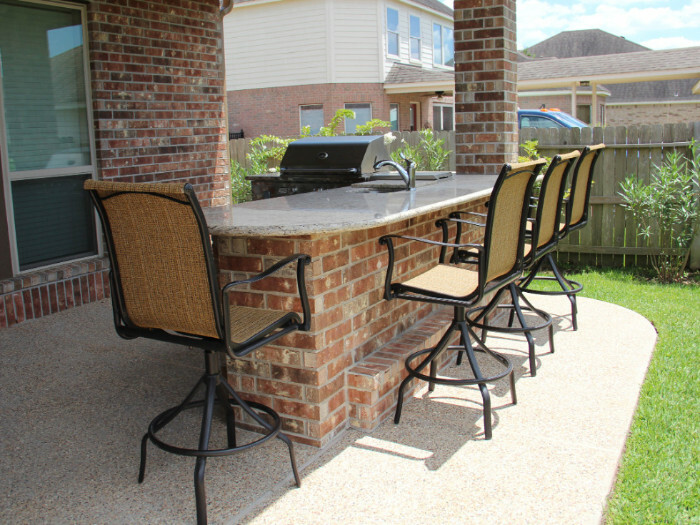 The kitchen is that place in the home where everyone congregates. 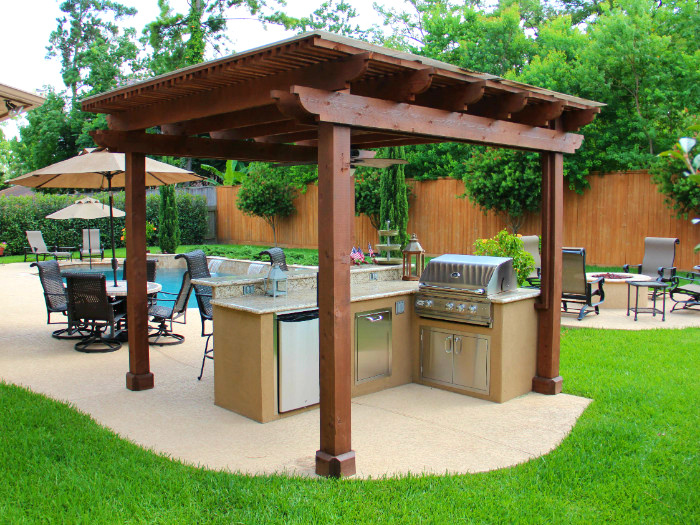 What better than an outdoor kitchen that allows you to move the party outdoors for an extra festive event or a nice quiet dinner for two. 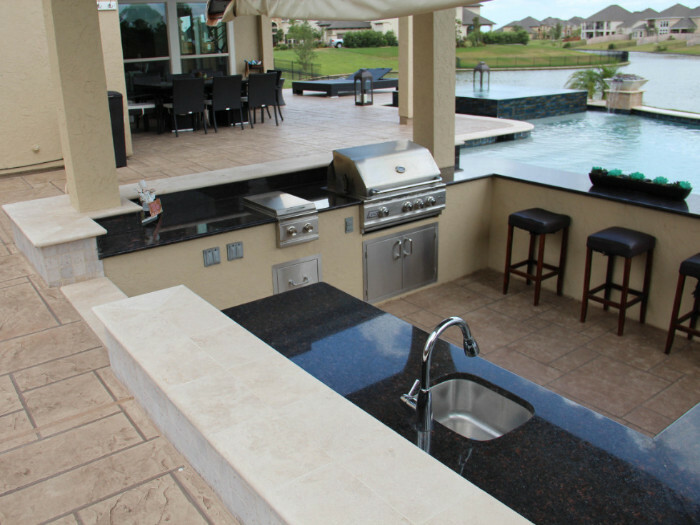 Please view our Outdoors Kitchen Gallery where you can see many different ideas and configurations and styles. 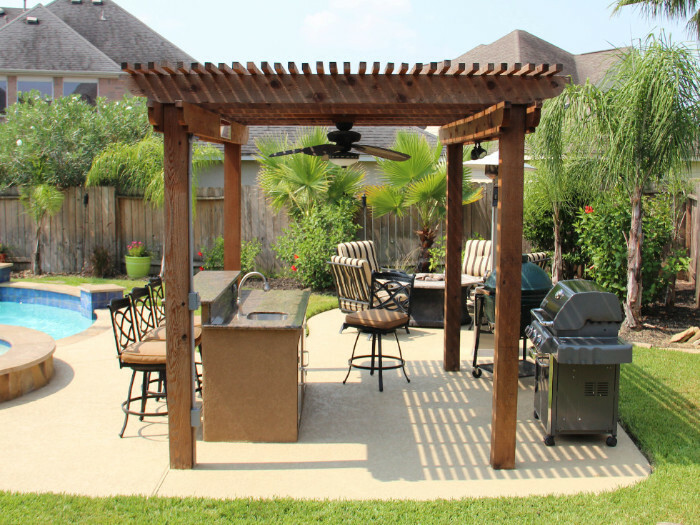 You may just need a grill and work area or you may want the whole shebang with a Texas Porch or Pergola. 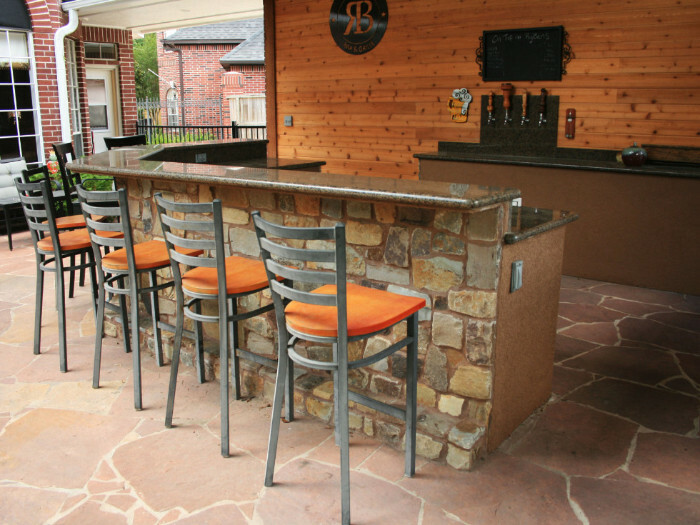 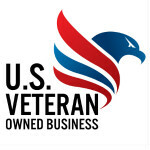 Only you can decide and we can help you with ideas and we can let you know what will work best in your space.